Los Angeles Galaxy will host their third MLS Cup final in four seasons after scraping past rivals Seattle Sounders 2-2 on away goals. Manchester United manager Louis van Gaal joined the growing list of critics slamming the Premier League’s busy Christmas period. United are preparing to embark on six league matches in December, starting with the visit of Stoke City to Old Trafford on Tuesday. Liverpool full-back Glen Johnson insists he will not go “crawling” for a new contract and said there had been no fresh talks over a new deal. The 30-year-old defender headed in an 85th-minute winner against Stoke City on Saturday, but his future has been regularly discussed. Medellin are all but assured of a spot in the Colombian Primera A’s Clausura final, but saw their perfect semi-final record dashed. Aguilas Pereira led heading into the final 10 minutes of their hosting of Medellin, before the Group B leaders equalised in a 2-2 draw. America and Tigres UNAL survived scares as they advanced to the semi-finals of the Liguilla Apertura. After Wednesday’s 1-0 first-leg loss to Pumas UNAM, Paolo Goltz levelled the aggregate score at 1-1 with a 75th-minute header in the return match at the Estadio Azteca on Saturday. Western Sydney Wanderers have a chance to kick-start their A-League season with two matches in four days. Tony Popovic’s AFC Champions League winners are still without a victory domestically this campaign, bottom of the table after three draws in seven games. Bolivar are in control of the Liga del Futbol Profesional Boliviano after crushing Real Potosi 6-1 on Sunday. Juanmi Callejon’s hat-trick led Bolivar to their huge win in front of their home fans at the Estadio Hernando Siles in La Paz. Independiente del Valle’s chances of finishing top of the Ecuadorian Primera A took a hit as Barcelona closed in on Sunday. Pablo Repetto’s Independiente suffered a 2-0 loss at LDU Quito, marking their second straight loss in the league. It opened the door for their nearest rivals and they took full advantage. Barcelona coach Luis Enrique defended his decision to rotate players after his side battled to a 1-0 victory at Valencia. Sergio Busquets fired in a 94th-minute winner for Barcelona on Sunday as they moved back within two points of La Liga leaders Real Madrid. A late strike saw Vitoria Guimaraes overcome Moreirense 2-1 on Friday and return to the top of the Portuguese Primeira Liga. Republic of Ireland manager Martin O’Neill believes Roy Keane needs a break after he relinquished his role as Aston Villa assistant. The former Manchester United captain accepted Villa manager Paul Lambert’s request to become his deputy during the close-season, filling the role left by the dismissed Ian Culverhouse. 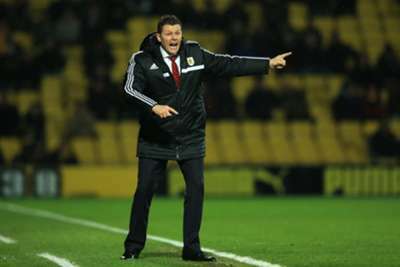 League One leaders Bristol City bounced back from consecutive defeats to beat Peterborough United 3-0 and get their title bid back on track. Carlos Vela’s hat-trick earned David Moyes a first win in charge of Real Sociedad as his new side beat Elche 3-0 on Friday. 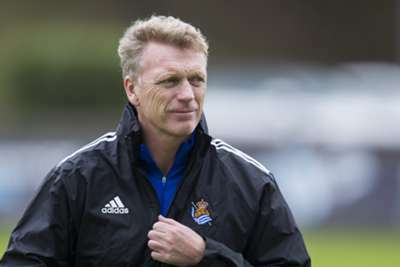 Moyes’ reign at Anoeta began with a dour 0-0 stalemate at Deportivo La Coruna last Saturday, but Vela was on hand to inpsire the Scot’s team this week. Marseille beat Nantes 2-0 on Friday to go four points clear at the top of Ligue 1 and put the pressure back on Paris Saint-Germain. 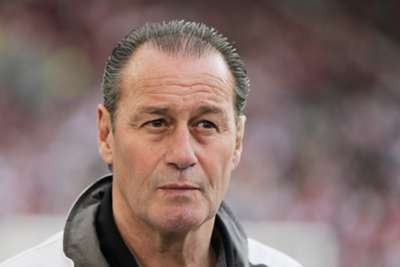 ​Huub Stevens made an immediate impact on his return to Stuttgart as the Bundesliga strugglers recorded a 4-1 victory over Freiburg. Stevens replaced Armin Veh at Stuttgart earlier this week – just six months after leaving the club – and enjoyed a dream comeback at the Mage Solar Stadion on Friday. 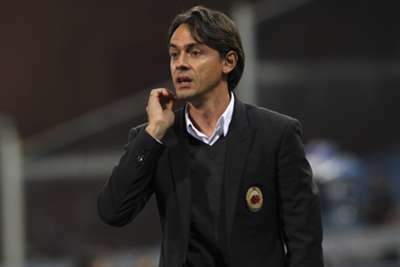 ​Filippo Inzaghi will look to mastermind an end to Milan’s five-game winless run on Sunday when they host Udinese in Serie A.
Seattle Sounders coach Sigi Schmid labelled Los Angeles Galaxy “a physical team” on Wednesday ahead of Sunday’s clash. Cartagines continued their drive up the Costa Rican Primera Division table on Wednesday, securing a spot in the finals. Roma host Inter on Sunday, with Rudi Garcia’s men aiming to keep pace with league leaders Juventus. There are three points separating second-placed Roma and defending champions Juve atop the Serie A table approaching week 13. Bolivar extended their overall lead slightly in the Liga del Futbol Profesional Boliviano, coming from behind to draw 1-1 at The Strongest. The semi-final was decided on spot-kicks after Sao Paulo midfielder Ganso’s 54th-minute goal levelled the tie 1-1 on aggregate at the end of 90 minutes in Brazil. Atletico Mineiro claimed their maiden Copa do Brasil title after seeing off Brazilian Serie A champions Cruzeiro on Wednesday. Diego Tardelli’s goal on the stroke of half-time gave Mineiro a 1-0 win in the second leg at the Estadio Governador Magalhaes Pinto. Malmo coach Age Hareide was furious with the referee after his side’s 2-0 loss to Juventus in the UEFA Champions League. Steven Defour’s withdrawal at half-time hampered Anderlecht claimed defenders Chancel Mbemba and Olivier Deschacht on Wednesday. Defour – Anderlecht’s “leader in midfield”, according to Deschacht – was forced off with a thigh injury at the break in the UEFA Champions League clash in Brussels. Diego Simeone saluted Atletico Madrid after they avenged their opening matchday loss to Olympiacos in resounding fashion on Wednesday. Atletico’s UEFA Champions League campaign got off to a disappointing start in September, beaten 3-2 at Olympiacos in their opening Group A fixture. Everton quartet Leighton Baines, Steven Naismith, Steven Pienaar and Gareth Barry face a battle to be fit to face Tottenham on Sunday. Baines and Naismith are struggling with hamstring injuries, while midfield duo Barry and Pienaar have ankle and knee problems respectively. Tottenham head coach Mauricio Pochettino wants the Premier League to give his side an extra day’s rest following UEFA Europa League matches. Spurs have lost three of their four league games immediately following Europa League group fixtures this season as the club struggle to juggle both competitions. The Football Association (FA) has charged Everton and West Ham for failing to control their players during Saturday’s Premier League clash. With Everton leading 1-0 shortly before half-time at Goodison Park, Kevin Mirallas went in heavily on West Ham’s Morgan Amalfitano. Roberto Mancini has seen signs of encouragement ahead of Inter’s UEFA Europa League clash with Dnipro on Thursday. The former Manchester City boss returned to the Inter hot seat earlier this month, guiding his side to a 1-1 draw with city rivals Milan in his first game in charge on Sunday. Cheltenham Town have announced the appointment of Paul Buckle as their new manager following the departure of Mark Yates. Buckle, who led Torquay United to the Football League and was last in England with Luton Town, fills the void left by the sacking of Yates on Tuesday after five years in charge. Pohang Steelers edged ever closer to an AFC Champions League berth with a goalless K. League draw against Seoul on Wednesday. The Steelers came into the midweek championship round fixture with a three-point advantage over their fourth-placed hosts, but had won just one of their previous 10 matches. APOEL Nicosia coach Giorgos Donis conceded his side were outclassed by Barcelona, but is eyeing the UEFA Europa League. Barca’s 4-0 away win at APOEL was marked by Lionel Messi’s historic hat-trick – the Argentine claiming the outright most goals tally (74) from Raul (71). Sporting Lisbon coach Marco Silva warned his team cannot afford to keep making mistakes following Tuesday’s win over Maribor. Coach-less Brisbane Roar host A-League leaders Perth Glory on Saturday, after unbeaten clubs Melbourne Victory and Adelaide United clash. Victory and Adelaide open the matchday with their second contest of the season, after their first battle ended 1-1 at the Adelaide Oval in October. Defender Vyacheslav Shevchuk denied Shakhtar Donetsk lacked motivation for their UEFA Champions League fixture against Athletic Bilbao. Bayern Munich coach Pep Guardiola lamented their two late errors against Manchester City, which saw Sergio Aguero swoop in to steal the tie. FIFA secretary general Jerome Valcke admitted it may “take years” for the body to rebuild its reputation amid ongoing claims of corruption. Luis Enrique said he cannot stop marvelling at Lionel Messi’s feats, who became the outright leading scorer in the UEFA Champions League. Athletic Bilbao boss Ernesto Valverde said spirits were high after his side upset Shakhtar Donetsk 1-0 on Tuesday. Bilbao travelled to Ukraine with just one point in their previous four UEFA Champions League matches. 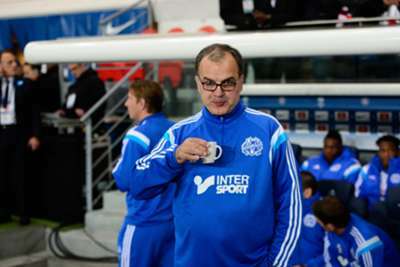 Marseille coach Marcelo Bielsa does not feel his players will be affected by the legal investigation surrounding the Ligue 1 club. Roberto Mancini has been impressed by the state of his Inter side ahead of Sunday’s Milan derby at San Siro. Mancini’s second spell in charge of Inter gets under way this weekend against fierce rivals Milan, after the Italian was appointed as Walter Mazzarri’s replacement earlier this month. Rafael Benitez has ruled out the possibility of leaving Napoli to return to former club Liverpool. The Spaniard’s deal as Napoli head coach expires in June and talks on a new contract are on hold. Jos Luhukay maintains Hertha Berlin can cope without Salomon Kalou while the forward is on Africa Cup of Nations duty next year. The former Chelsea man arrived in the German capital in August and has been impressive so far, scoring four times in nine Bundesliga appearances. ​Vincenzo Montella is confident he will not wilt under the pressure at Fiorentina despite one win in their last five Serie A games. The former Italy international has come in for criticism from some sections of the club’s support in recent weeks as they have slipped down the league table. Milan will be without Alex for Sunday’s derby clash with rivals Inter after the defender suffered a thigh injury in training. The first Milan derby of the campaign takes place this weekend, but Filippo Inzaghi has been dealt a blow by the absence of the Brazlian centre-back. Tottenham manager Mauricio Pochettino believes Eric Dier needs to become more versatile if he is to improve as a player. Dier has had a mixed start to life at White Hart Lane following his switch from Sporting Lisbon, scoring the winner on his debut against West Ham before struggling to make the right-back berth his own. Manchester United manager Louis van Gaal says injured striker Falcao must work hard to earn a starting place when he returns to fitness. The Colombia international has endured a stop-start campaign so far at Old Trafford following his season-long loan move from Monaco in September. Sydney kept pace at the top of the A-League with a hard-fought 2-1 win at Melbourne City on Saturday. Graham Arnold’s men travelled to AAMI Park under pressure after seeing both teams above them in the table – Perth Glory and Melbourne Victory – pick up three points apiece on Friday. Sangju Sangmu had their relegation from the K. League all but confirmed on Saturday as they were beaten 3-1 by Jeonnam Dragons.